This is a simple question on the3 surface that has many different answers. Google Analytics is a software created by Google to track different user metrics on your website. Many marketers and business owners don’t use GA to their full benefits. Doing so can give you insights you can use to grow your traffic, build your brand, and leapfrog your competition. If you’re looking for an in-depth answer to the question “Which kinds of hits does Google Analytics track?” Keep reading. The Google Analytics tool has a menu you can use to look for different metrics about your website traffic. This is just one of the sections you can use in the tool to get useful data. You can go into quite a bit of depth into how Google Analytics works, but for today, we’ll focus on the most important and easiest to understand metrics. Direct traffic measures people who visit your website directly by entering a page on your website into a browser. Quick example, if you shop on Amazon, you give Amazon a direct visit when you type in amazon.com. The question is, what do you do with this data and how can you use it to improve your traffic? Watch growth over time – If your direct traffic is growing over time, it could mean that your brand recognition is growing. The more you promote your business, the more people will come back to your website because they already know your brand. Understand your business – If you are a company that does not have repeat business, this metric might be less useful than it would be for a business that relies on brand recognition for repeat business. Watch relationships – You can analyze whether or not the organic traffic you receive from Google keeps pace with your direct traffic. If it does, it means your site isn’t just attracting search traffic, but converting it into repeat visits. Organic search traffic is one of the top measurements you can use to judge the success of your SEO campaign. While you can’t predict the future, it’s safe to say you want your organic traffic to grow over time. You can analyze organic search traffic in many ways. Geography – If you run a local business or a service area business, you can track which region of the country your search traffic is coming from. Top pages – In Google search console, you can check which pages receive the most organic traffic and which keywords they rank for. You can use this information to improve your website pages, which will increase your overall organic search traffic over time. Timelines – Data takes time to make enough sense to make smart decisions. 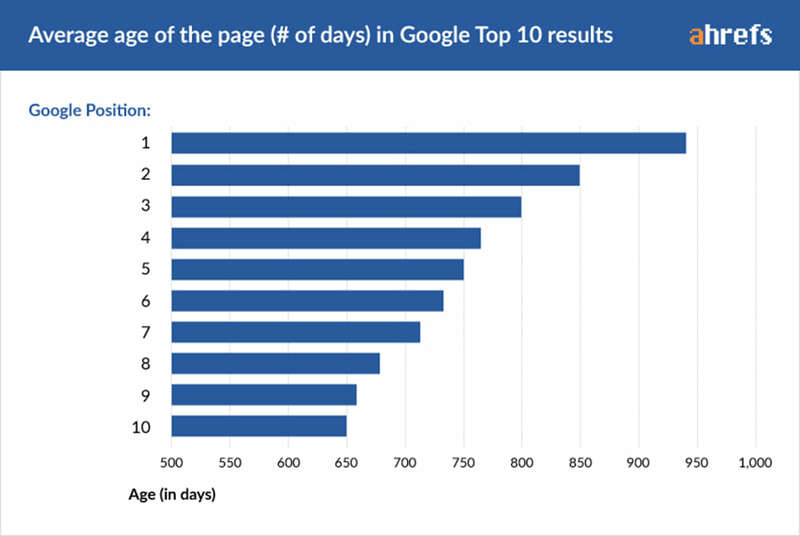 It also takes time for pages to rank on Google. With our clients, we measure organic search traffic quarter over quarter, which is a good length to get more reliable data. Referral traffic measures the number of people who visit your website from other websites that link to your website. Backlink quality – Backlinks from other websites build your site authority. The best backlinks also provide referral traffic. You can analyze which backlinks drive the most traffic and copy what you did well to acquire that link when trying to acquire new ones. Promotion techniques – There are many promotion techniques you can use to get referral traffic like posting a thoughtful comment on a blog in your niche. You can measure how much traffic you get back from this and other techniques to refine your promotion strategies. Ad tracking – If you want to know how well your social media ads are working, you can add custom tracking codes to measure the performance of your campaign. Overall traffic – If you find yourself spending a lot of time with social media promotion, but not getting the traffic you want, you can adjust your strategy or focus more on strategies that move the needle. Google also tracks traffic from paid advertisements. Increasing the ad quality for better conversions. Google and other search engines measure behavior metrics to index and rank websites. This makes sense. The search engines want to present the best results possible. Knowing what turns visitors on and off can help them make better decisions. With Google updates like ‘Rank Brain‘ and the fact that search engines use AI and machine learning to understand sites, these metrics will grow in importance over time. 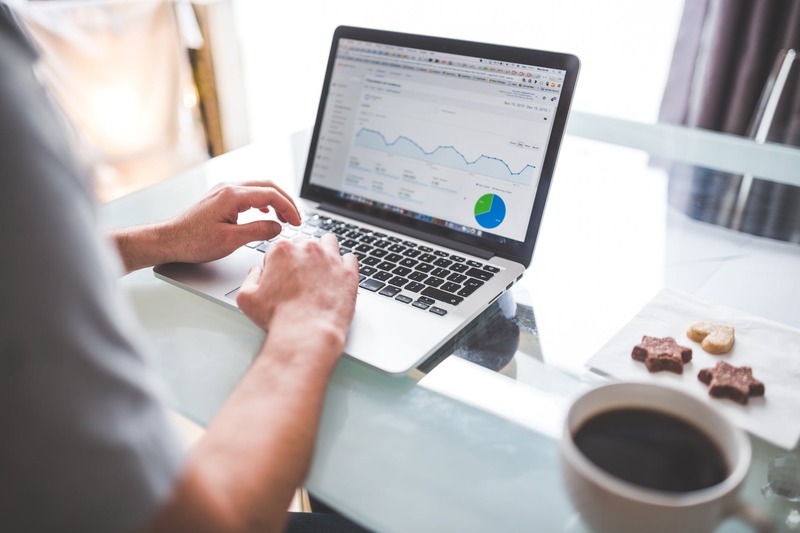 Here are some of the behavior metrics Google Analytics measures and how they relate to the SEO success of your website. A ‘bounce’ happens anytime someone visits a page on your website and leaves right away. Search engines use bounce rates to answer the question “Do people like and want to view the content on your site?” A high bounce rate tells them “no” which lowers the value of your website pages. Site performance – If your site doesn’t load quickly or has other technical issues, this will increase your bounce rate and harm your SEO results. Mobile friendliness – More people use Google search on their phones than desktops. If your site isn’t mobile optimized, people won’t use your site on their phone. This is a website development and SEO best practice you must following in 2019. Content – The content on your pages need to compel users to engage. To increase time spent on your site you can rewrite the content, add media, and improve design elements of your pages. Each time someone visits your website, it counts as a ‘session.’ Average session duration measures how long someone stays on your website. Usually, the longer the better, but the type of page you’re trying to rank does come into play. For example, for something like a simple service page where the visitor lands on it and does the desired action like fill out a form or call doesn’t need a long session duration. If you’re trying to rank an in-depth blog post you wrote, you’ll want to see a decent time spent on page, at least two minutes or more. Content – You shouldn’t just create content. You should analyze how that content performs. If you notice certain types of content create longer sessions, consider changing your strategy and writing content that relates to your top performers. In general, you want to see that visitors are visiting multiple pages on your website. In Google’s eyes, this means you’re providing quality information and have a good internal link structure, which just means you’re linking between pages on your website in a way that makes sense to search engine crawlers and helps your visitors find the information they need in a simple way. Again, if you are driving traffic to something like a sales page, you might not want visitors to view multiple pages on your site. Internal linking – You should always link between relevant pages when it makes sense for the user. Adding internal links is an art. You want to create a situation where visitors want to visit multiple pages because you create content that relates to other content on your site. Check out the wiki strategy by Nat Eliason for a deep dive on this topic. Link depth – Many experts say no content should be more than 3 clicks away. Some debate whether or not this is true. In general, though, you don’t want to bury pages on your site, or worse, create orphan pages — pages with no internal links to it. Site navigation – Your site navigation should be simple and easy to understand. That way, visitors know where to find your most important content regardless of what page you’re on. If you have a site with a deep linking structure such as an e-commerce site, consider creating a ‘breadcrumb’ navigation that shows people the steps they took to reach the page they’re on. While traffic is a good metric, it doesn’t tell the whole story. Getting people to visit your website is the first step. The second step is getting those visitors to do what you want. Sales – If you have an e-commerce business, you can track how many sales you receive and from which channels. This can help you get exact ROI numbers for your marketing. E-Mail List Signups – Email marketing can help you get more sales and grow your brand over the long term. Conversion tracking can help you figure out which pages drive the most sign-ups. Contact/Request a Quote Forms – You can also set up conversion tracking to see what percentage of people reach out for more information after they visit your website. So, what should you do with conversation tracking to improve your marketing? Pay attention to the data. You want to know how well your website pages are converting. Your conversion rate is the number of times people perform the desired action divided by the total number of people who visit the page. 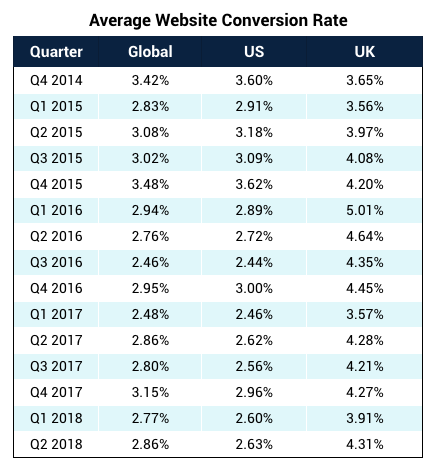 A two percent conversion rate is good. A five percent conversion rate is great. Conversion rates of 10 percent or more are amazing. As you can see, the answer to the question “Which kinds of hits can you track in Google Analytics?” has many different answers and insights. The key isn’t the insights themselves, but the process of actin on them. If you work with MLT Group, you’ll get data-driven SEO by an expert agency and team who will use those insights to not just grow your traffic, but your business as a whole.